These terms and conditions outline the rules and regulations for the use of McKee Health Transformations, LLC’s website, programs, services, and digital downloads. By accessing this website and/or purchasing a program, download, or service, we assume you accept these terms and conditions in full. Do not continue to use McKee Health Transformations, LLC’s website, programs, downloads, or services if you do not accept all of the terms and conditions stated on this page. The following terminology applies to these Terms and Conditions, Privacy Statement and Disclaimer Notice and any or all Agreements: “Client”, “You” and “Your” refers to you, the person accessing this website, service, program, download and accepting the Company’s terms and conditions. “The Company”, “Ourselves”, “We”, “Our” and “Us”, refers to our Company. “Party”, “Parties”, or “Us”, refers to both the Client and ourselves, or either the Client or ourselves. Unless otherwise stated, McKee Health Transformations, LLC and/or it’s licensors own the intellectual property rights for all material on McKee Health Transformations, LLC. All intellectual property rights are reserved. You may view and/or print pages from http://mckeehealth.com for your own personal use subject to restrictions set in these terms and conditions. By using this website you confirm that you are thirteen (13) years of age or older. Republish material from http://mckeehealth.com including material from any programs, services, or digital downloads. Sell, rent or sub-license material from http://mckeehealth.com including material from any programs, services, or digital downloads. 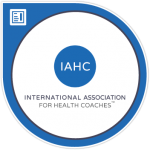 Reproduce, duplicate or copy material from http://mckeehealth.com including material from any programs, services, or digital downloads. Redistribute content from McKee Health Transformations, LLC (unless content is specifically made for redistribution) including material from any programs, services, or digital downloads. This Agreement shall begin on May 19, 2018. 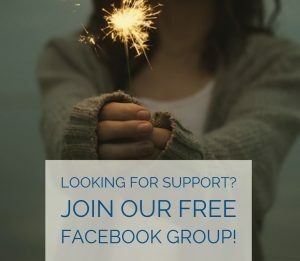 Certain parts of this website and private Facebook groups associated with the program or the free private Facebook group Committed2Wellness offer the opportunity for users to post and exchange opinions, information, material and data (‘Comments’) in areas of the website. McKee Health Transformations, LLC does not screen, edit, publish or review Comments prior to their appearance on the website or private Facebook groups and Comments do not reflect the views or opinions of McKee Health Transformations, LLC, its agents or affiliates. Comments reflect the view and opinion of the person who posts such view or opinion. To the extent permitted by applicable laws McKee Health Transformations, LLC shall not be responsible or liable for the Comments or for any loss cost, liability, damages or expenses caused and or suffered as a result of any use of and/or posting of and/or appearance of the Comments on this website or private Facebook groups. McKee Health Transformations, LLC reserves the right to monitor all Comments and to remove any Comments which it considers in its absolute discretion to be inappropriate, offensive or otherwise in breach of these Terms and Conditions. 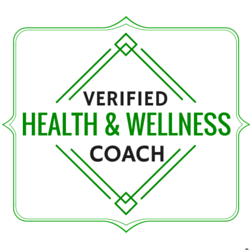 You hereby grant to McKee Health Transformations, LLC a non-exclusive royalty-free license to use, reproduce, edit and authorize others to use, reproduce and edit any of your Comments in any and all forms, formats or media. If you are among the organizations listed in paragraph 2 above and are interested in linking to our website, you must notify us by sending an e-mail to info@mckeehealth.com. This website, programs, services, and downloads are not intended for persons thirteen (13) years old or younger. By using our website, purchasing services, programs, or digital downloads, you confirm that you are thirteen years of age or older. I have held nothing back in creating this program/download for you. I want you to live a happier, more vibrant life so I’m giving you all the tools and support you need to start your path to a healthier lifestyle. Because I want you to experience the amazing results possible in this program, once the program materials have been sent out, there are no refunds. I have created this policy so that we are both accountable for your success. I am here to support you every step of the way! The contents of this website, services, program/download are based on the knowledge, opinions, and experience of Jennifer McKee and McKee Health Transformations, LLC, unless otherwise noted. The information in this program/download does not replace a one-on-one relationship with a qualified health care professional and should not be considered medical advice. Jennifer McKee and McKee Health Transformations, LLC encourage you to make your own health care decisions based on your research and in partnership with a qualified health care professional. And most importantly, make sure to listen to your body. The statements in the website, services, program/download have not been evaluated by the Food and Drug Administration. This program/download is not intended to diagnose, treat, cure, or prevent any disease. Program and associated materials or anything from this website or services must not be copied, shared, or sold. The program and associated materials can be used by the buyer for sole private use only. McKee Health Transformations is not liable for accuracy of the program or program materials or any damage (intended or not) created from using or not using the program. You consent that program materials may be changed at any time without notice. If you are purchasing the membership program, you can cancel your subscription at any time. No refunds will be given so if you cancel your subscription, you will continue to have access to the program through the date for which you have paid for. McKee Health Transformations, LLC takes your privacy very seriously and will only use your personal information to administer your account and to provide the products and/or services you have requested from us. However, from time to time, we would like to contact you regarding free challenges and webinars, other online programs, new blog posts and recipes, free health and wellness information, as well as special offers on services and products. We will automatically add your to our email mailing list to email you details about the services and/or digital downloads you have purchased as well as our general email mailing list. You can unsubscribe or update your email preferences at any time by clicking the corresponding links at the bottom of the program email. This Terms and conditions page was created at http://termsandconditionstemplate.com generator. If you have any queries regarding any of our terms, please contact us.